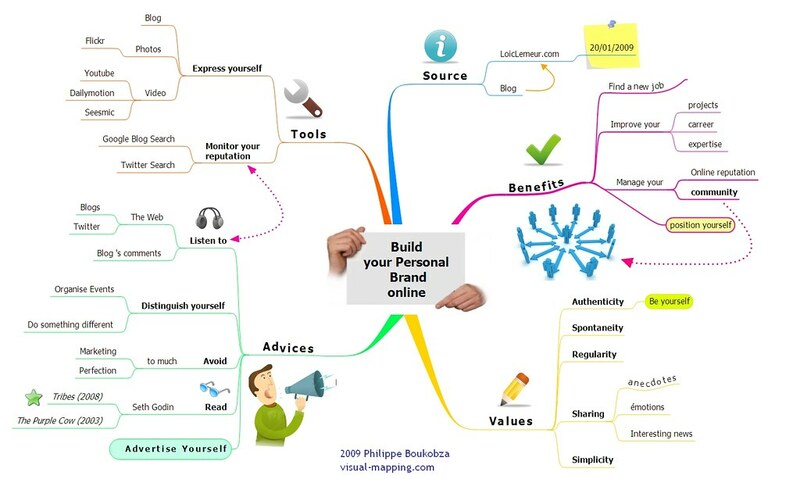 Last january he wrote (in French) a very interesting post about how to build your personal brand online. I found this post very useful and decided to make a mindmap of it, using NovaMind. Here is the result. Click on the map to view the full size. Branding through different social media channels is essential to build an image. Social connections work as a business network that connects you to your audience. This strategy works by converting your customers to referrers who could increase your sales exponentially.